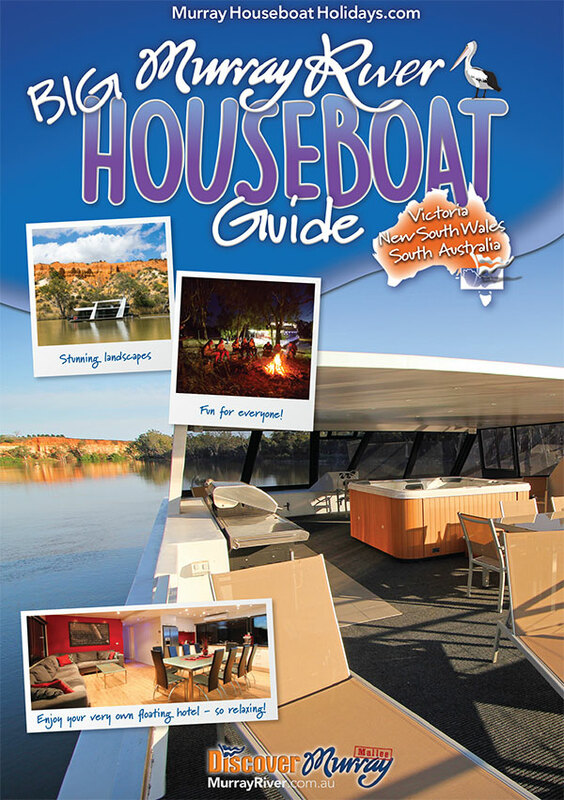 This brand new houseboat guide is the first in Australia covering New South Wales, Victoria and South Australia and is aimed to help houseboat customers look for the best houseboating experiences on the Murray River. It also allows houseboat businesses a better opportunity to promote their great houseboats and wonderful houseboat holiday packages so everyone has a great time on the Murray River. This Big Houseboat Guide will be available as an ebook on iTunes (ipad), printed booklet in Visitor Information Centres or as a flipbook below. Coming soon as a printed guide and ebook on ipad!